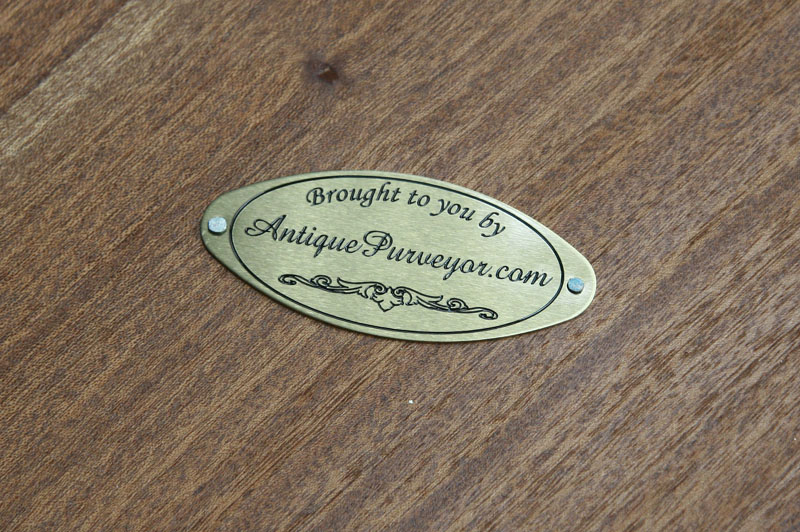 Our most popular item in the accents category by far. 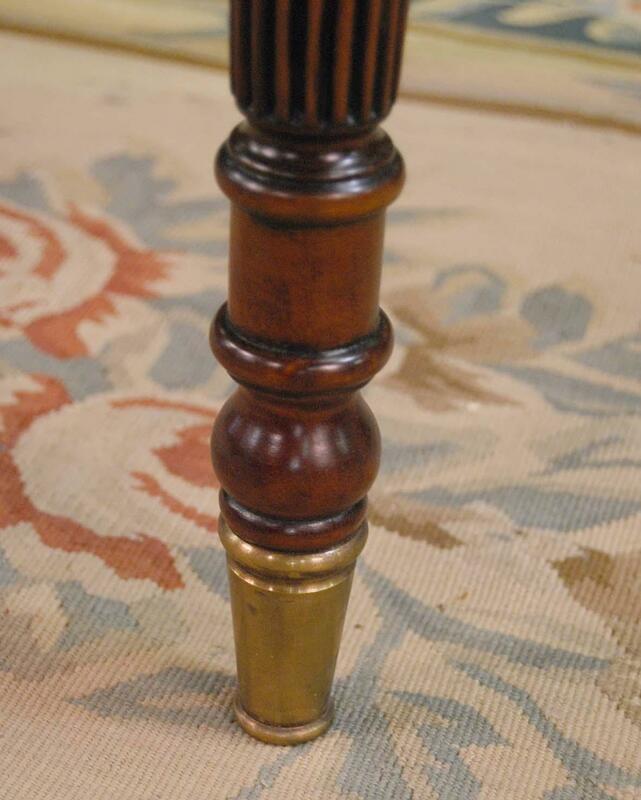 Brass capped feet. 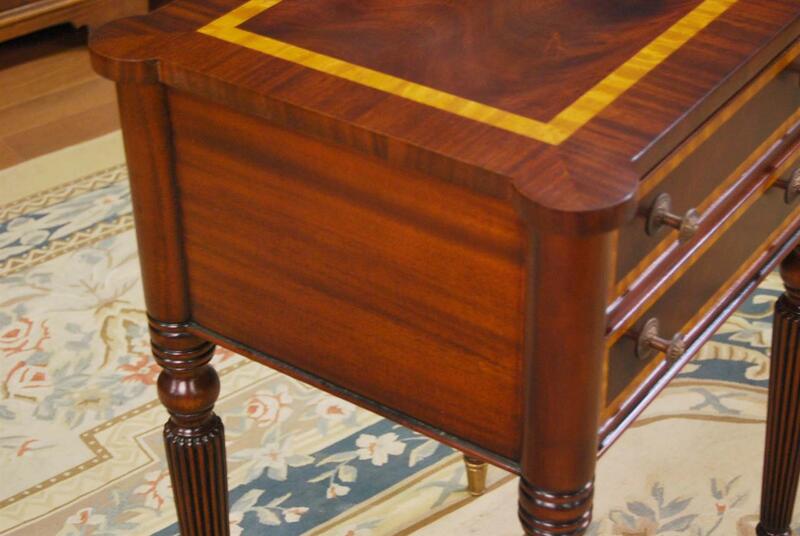 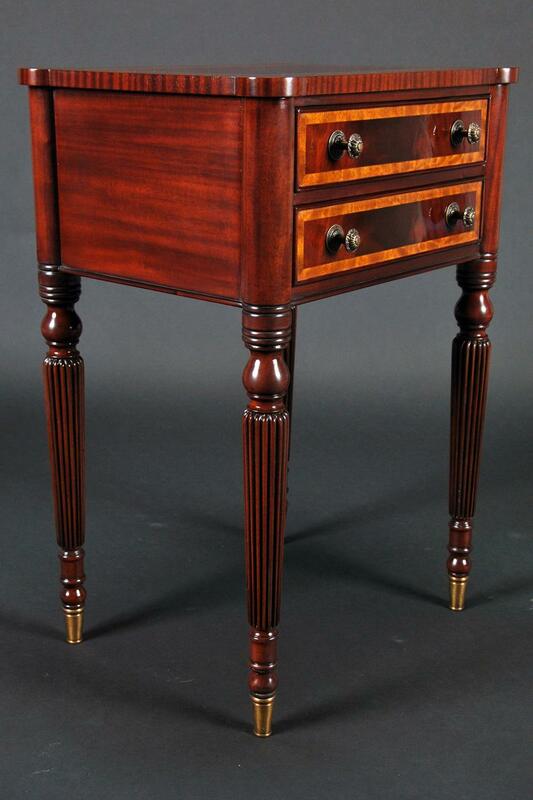 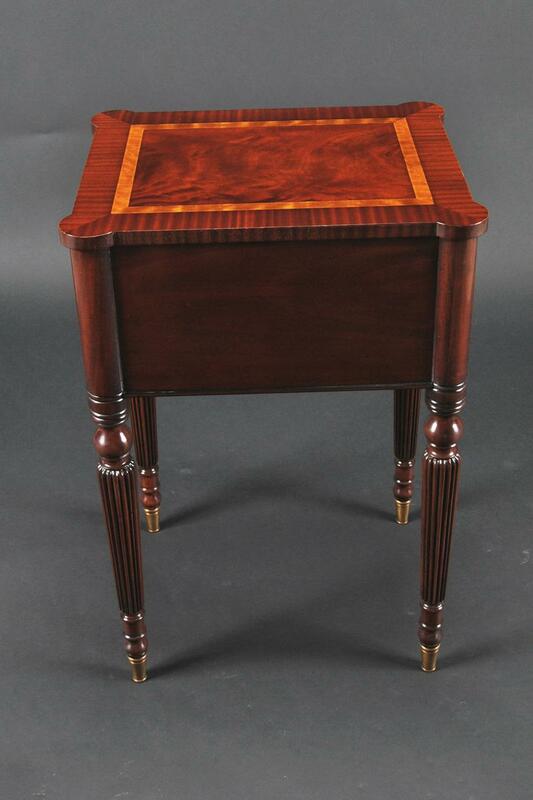 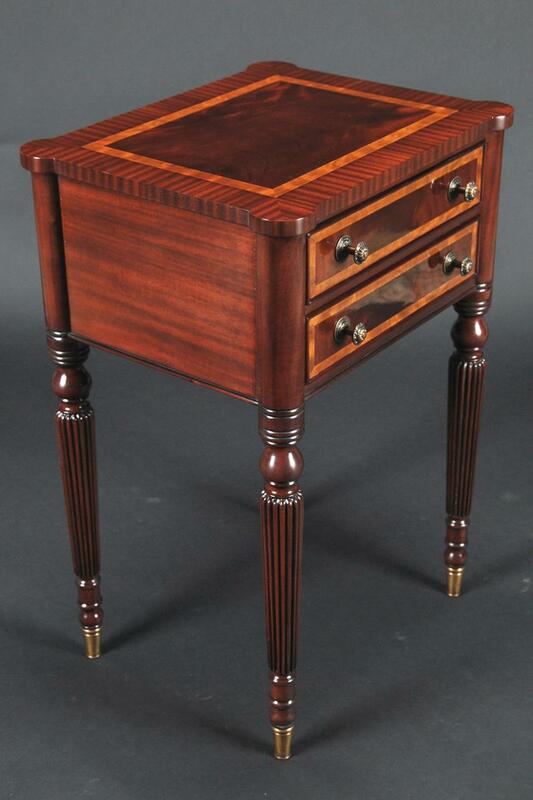 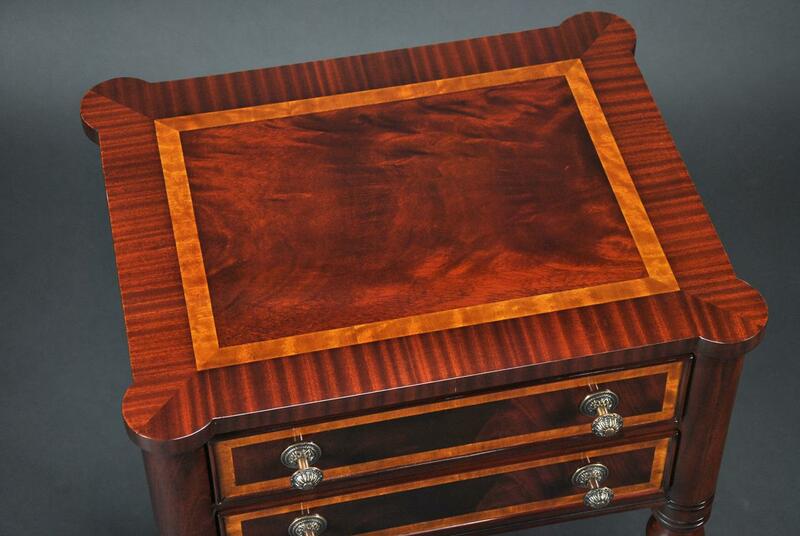 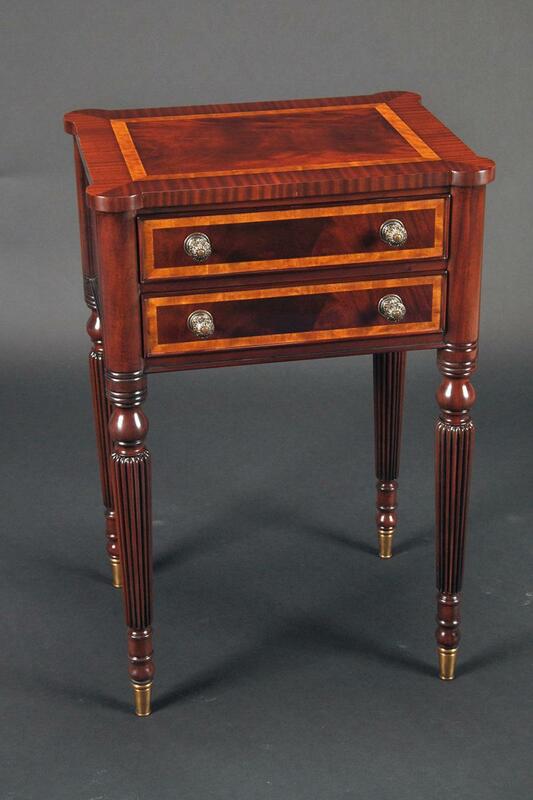 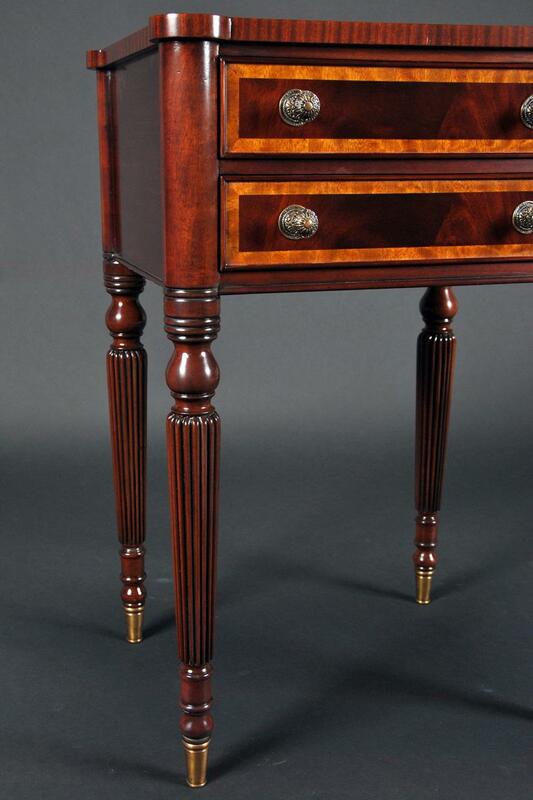 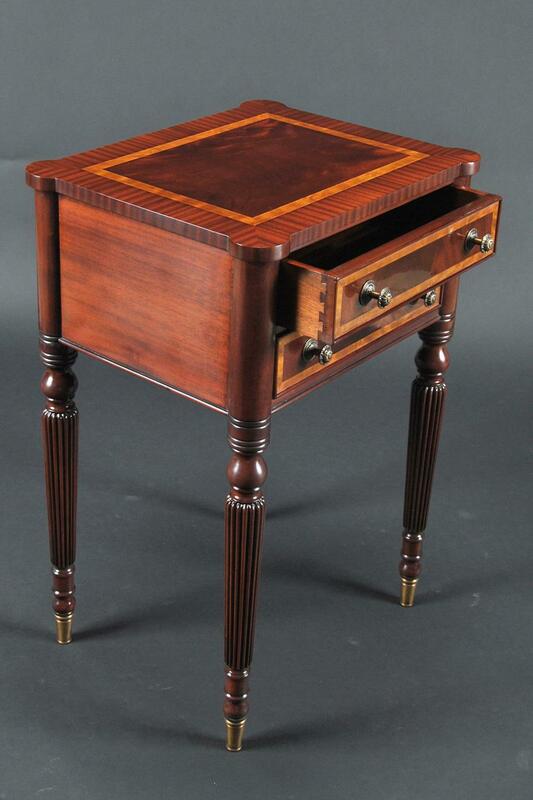 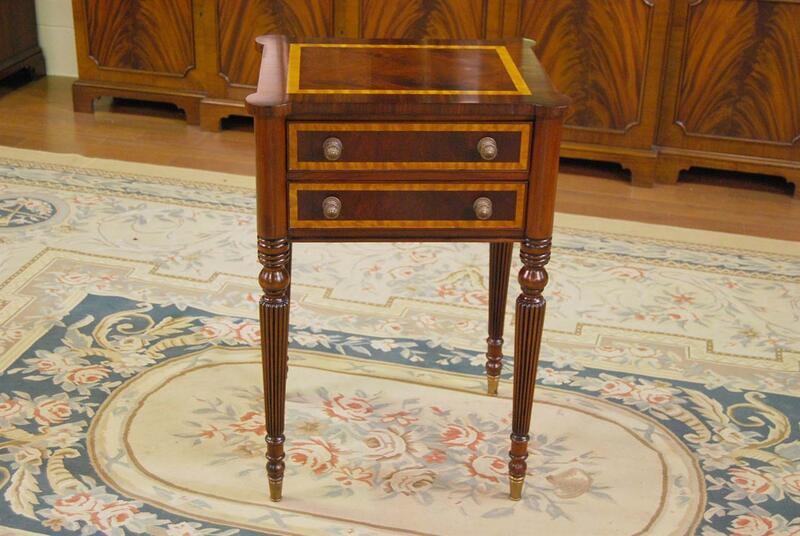 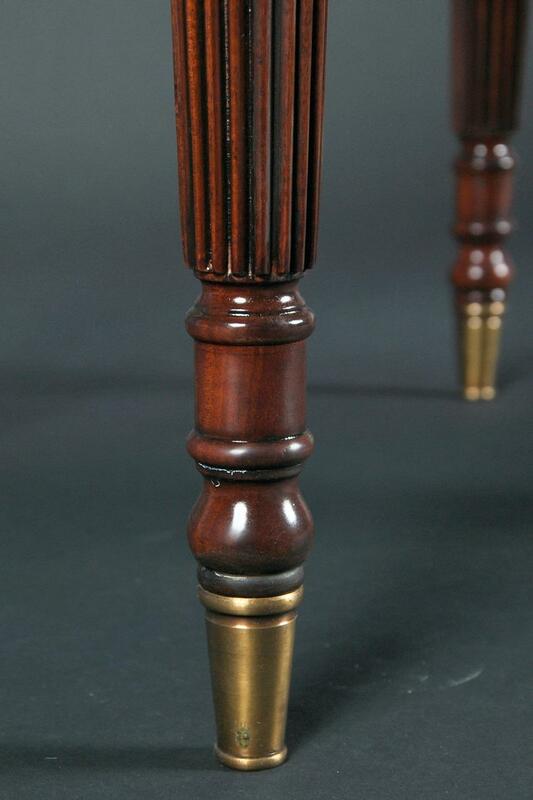 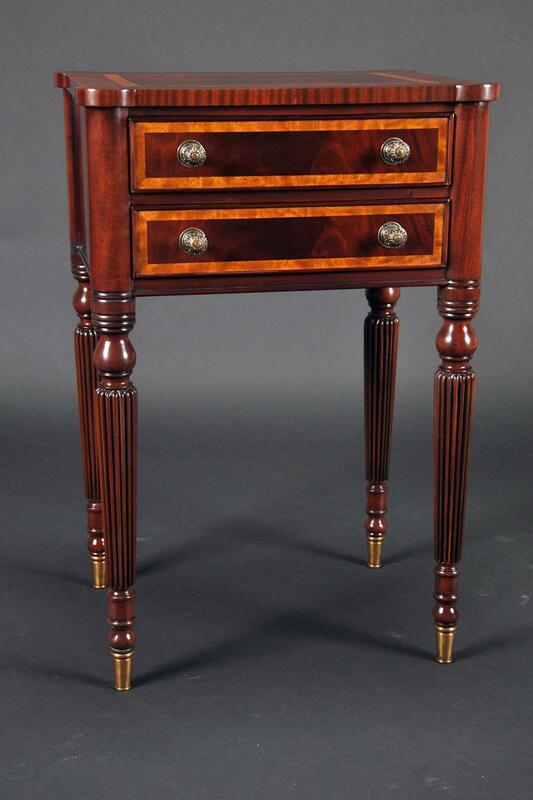 Description: Finely constructed end table made from solid mahogany with mahogany and satin wood veneers. 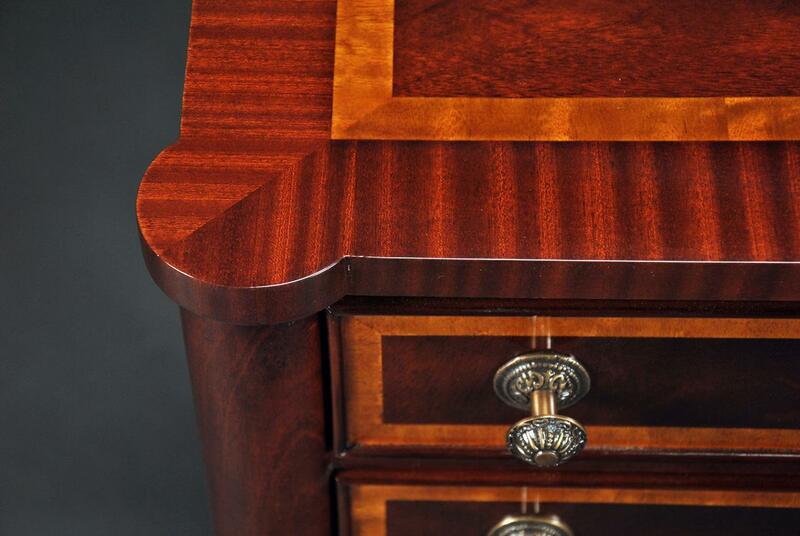 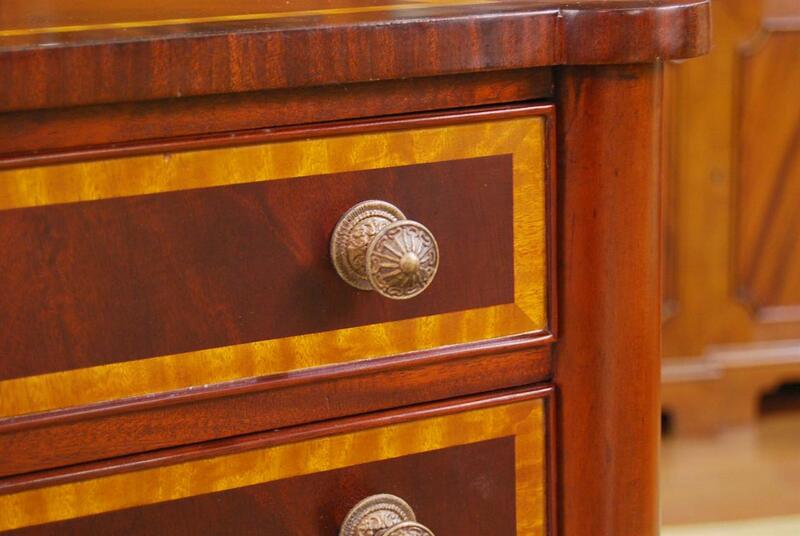 Dovetailed drawers and brass cap feet as well as solid brass pulls add an air of elegance. 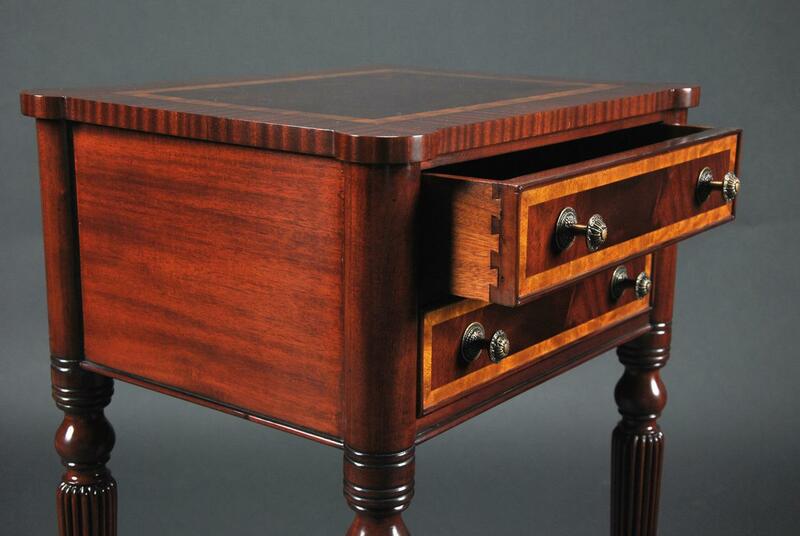 Completed in the finest Sheraton style the simple lines compliment almost any setting in the home.